Vice President, Corporate Marketing & Strategic Alliances, Synopsys, Inc. This keynote will examine the close linkage between the development of the semiconductor and space industries from the '50s to the present. He will explore how the past achievements of both industries have paved the way for astounding new technology and quality advances that will change the way we inhabit our own world and travel beyond it. Rich Goldman is the vice president of Corporate Marketing and Strategic Alliances for Synopsys and CEO of Synopsys Armenia, which the National Assembly of The Republic of Armenia proclaimed the best company in the country in 2005, and a finalist for the 2010 US Secretary of State ACE Award. His current responsibilities include Marketing Communications, Public Relations, Events, Creative Services, Web, Market Research, Executive Speaking placement and preparation, Community and Employee Communications, Strategic Alliances, University Programs, Standards, and Industry Relations. He is a member of the Board of the Synopsys Outreach Foundation and Chariman of the Synopsys Charitable Foundation for Armenia. Rich is a guest Professor at the Chinese Academy of Science, and is a Commissioner of the Advanced SOC Design Joint Lab Academic Committee there. He is the first person to be designated honorary Professor at the Moscow Institute of Electronic Technologies. He is a trustee of the State Engineering University of Armenia and the SEUA Foundation and was awarded the the Gold Medal, the highest award from both Yerevan State University, and the State Engineering University of Armenia, for his contributions to technology education in Armenia. In 2009, Rich received the ‘Andranik Ozanyan’ Gold Medal of the Republic of Armenia Ministry of Defense. In 2010 he was awarded the Medal of Honor, the highest award of European Regional Educational Academy (ERIICTA). With the President of Armenia, Rich established and awards the annual Presidential IT Awards to honor that country’s top engineering students. Rich conceived of and serves as cochairman of The President of Armenia’s Award for Outstanding Contribution to Humanity Through IT, and has brought Craig Barrett and Steve Wozniak to Armenia to receive the award. Rich is the cofounder and cochairman of ArmTech Congress, the official high tech business conference of the government of Armenia. Voted ‘Man of the Year 2008 in Armenia’, he recently received a citation from the National Academy of Sciences of the Republic of Armenia. Rich is President of the Organizing Committee of the Armenian Microelectronics Olympiad. In 2009 Rich was presented the Award of the President of Armenia for his significant contribution to the establishment of the Annual Educational Award of the President of Armenia for the best IT Students. In Sept 2010, Rich was presented at TED x Yerevan, and in 2011 presented at the Starmus Festival in the Canary Islands, aside such luminaries as Neil Armstrong, Alexi Leonov, Jill Tarter and Nobel Peace Prize winner, George Smoot. In 2005-2009 he chaired the DAC pavilion panels committee, and the DAC technical panels committee in 2011. He is a member of the Syracuse University Society of Fellows, and an Honored Member of the Russian Armenian University Friendship Club. Rich currently serves on the Board of Directors of the Silicon Valley Technical Institute and the Santa Clara County Council of the Boy Scouts of America, and the board of editors of ‘Economics’ Magazine. Prior to joining Synopsys in 1992, Rich managed the ASIC library and design support software group while at Texas Instruments for 10 years. Rich started up and managed TI ASIC’s Bangalore, India operation. Prior to TI, Rich interned at IBM, developing the digital simulator, AUSSIM. Rich has been active in standards organizations such as Accellera, EDIF, IEEE, Si2 and OVI for more than 20 years. Rich chaired the EDIF Technical Committee, co-chaired the RAPID Board of Directors, and was a member of the EIA/EDIF Steering Committee and Si2 Board of Directors. Currently, Rich chairs the EDAC Interoperability Committee. Rich earned a BSCS from Syracuse University, an MBA and MS Engineering Management from The University of Dallas, and an honorary Doctorate from The State Engineering University of Armenia. This talk addresses this notion of error-awareness across multiple abstraction layers – application, architectural platform, and technology – for next generation SoCs. The intent is to allow exploration and evaluation of a large, previously invisible design space exhibiting a wide range of power, performance, and cost attributes. To achieve this one must synergistically bring together expertise at each abstraction layer: in communication/multimedia applications, SoC architectural platforms, and advanced circuits/technology, in order to allow effective co-design across these abstraction layers. As an example, one may investigate methods to achieve acceptable QoS at different abstraction levels as a result of intentionally allowing errors to occur inside the hardware with the aim of trading that off for lower power, higher performance and/ or lower cost. Such approaches must be validated and tested in real applications. An ideal context for the convergence of such applications are handheld multimedia communication devices in which a WCDMA modem and an H.264 encoder must co-exist, potentially with other applications such as imaging. These applications have a wide scope, execute in highly dynamic environments and present interesting opportunities for tradeoff analysis and optimization. We also demonstrate how error awareness can be exploited at the architectural platform layer through the implementation of error tolerant caches that can operate at very low supply voltage. 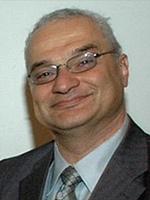 Fadi Kurdahi received his PhD from the University of Southern California in 1987. Since then, he has been a faculty at the Department of Electrical & Computer Engineering at UCI, where he conducts research in the areas of Computer Aided Design of VLSI circuits, high-level synthesis, and design methodology of large scale systems, and serves as the Associate Director for the Center for Embedded Computer Systems (CECS). He was Associate Editor for IEEE Transactions on Circuits and Systems II 1993-1995, Area Editor in IEEE Design and Test for reconfigurable computing, and served as program chair, general chair or on program committees of several workshops, symposia and conferences in the area of CAD, VLSI, and system design. He received the best paper award for the IEEE Transactions on VLSI in 2002, the best paper award in 2006 at ISQED, and four other distinguished paper awards at DAC, EuroDAC, ASP- DAC and ISQED. He also received the Distinguished Alumnus award from this Alma Mater, the American University of Beirut in 2008. He is a Fellow of the IEEE and the AAAS. Due to power and performance reasons, multicore (or MPSoC) architectures are getting widespread in virtually all domains of computing. Their HW/SW design constraints are particularly tight in wireless communication devices. The amount of mobile data traffic is expected to grow by 1000x within the next decade, resulting in very high performance requirements. At the same time, especially in battery driven devices, maximum energy efficiency is a must. Moreover, the problem of how to efficiently implement software on embedded parallel processor architectures is largely unsolved today. This presentation covers several novel system-level design technologies, conceived to help in efficient HW/SW design for multi-billion transistor embedded platforms, with emphasis on the special demands of wireless applications. The first part will provide an introduction to automated design of application specific processors (ASIPs). Next, we will discuss some recent advances in virtual prototyping and simulation of complex multicore architectures and entire devices. Furthermore, we will sketch the MAPS compiler approach for mapping embedded application software onto heterogeneous parallel target platforms. Finally, we provide an outlook on further key research issues in embedded systems design to support the the future "mobile society". Rainer Leupers received the M.Sc. (Dipl.-Inform.) and Ph.D. (Dr. rer. nat.) degrees in Computer Science with honors from the Technical University of Dortmund, Germany, in 1992 and 1997. From 1997-2001 he was the chief engineer at the Embedded Systems chair at TU Dortmund. During 1999-2001 he was also a team leader at ICD, where he headed industrial service projects. In 2002, Dr. Leupers joined RWTH Aachen University as a professor for Software for Systems on Silicon. Since then, he has also been a visiting faculty member at the ALARI Institute in Lugano. His research and teaching activities comprise software development tools, processor architectures, and electronic design automation for embedded systems, with emphasis on multiprocessor systems-on-chip. He published numerous books and technical papers, and he served as program committee member and topic chair of leading international conferences, including DAC, DATE, and ICCAD. He was a co-chair of the MPSoC Forum and SCOPES. Dr. Leupers received several scientific awards, including Best Paper Awards at DATE 2000, 2008 and DAC 2002, and he holds several patents on processor design automation technologies. 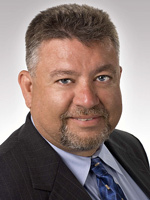 He has been a co-founder of LISATek, an EDA tool provider for embedded processor design, now part of Synopsys Inc. 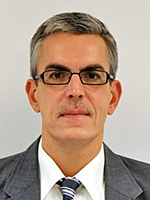 He has served as consultant for various companies, as an expert for the European Commission, and in the management boards of compound research projects like UMIC, HiPEAC, and ARTIST.